The Pavilion On D is the Lawn’s larger tent space. 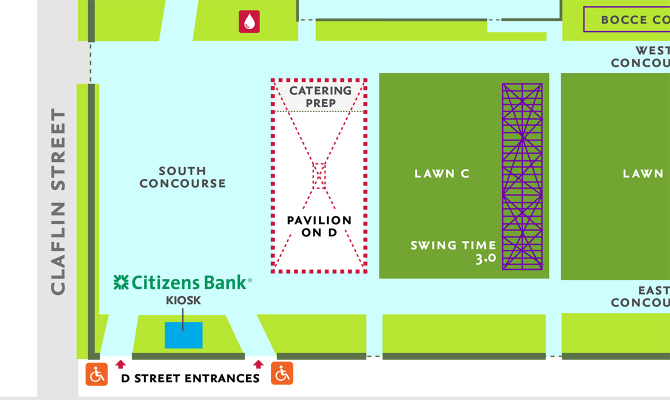 Located on the main Lawn, the Pavilion On D is centrally-located, next to Swing Time and all that the Lawn has to offer. The Pavilion On D can be rented out with Lawns A, B, and C for private events. The Signature Pavilion gives you a more intimate space for your special events. 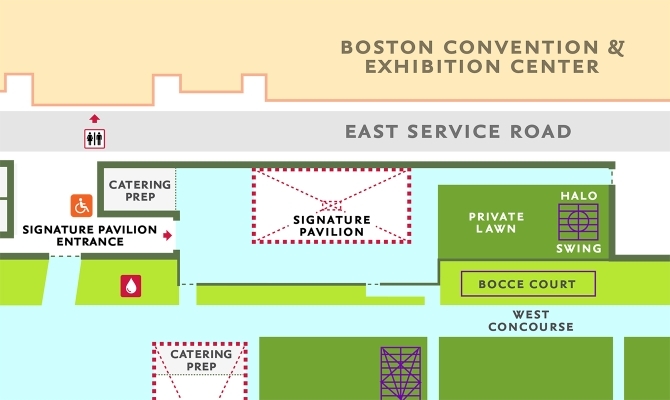 The Signature Pavilion has a designated drop-off and entrance, private lawn space, and access to all of the games and amenities of the full Lawn.